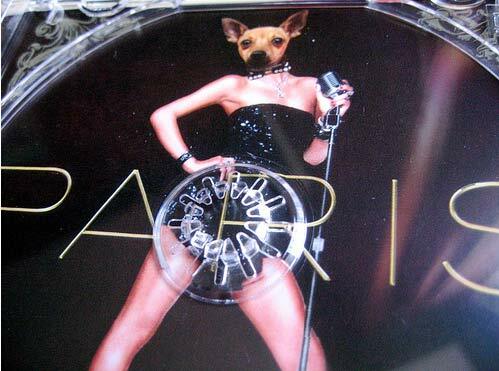 uk-based graffiti artists bansky took a thousand of paris hilton’s new cd’s and re-did the album liner inside to something more appropriate. he then brought the cd’s back and put them on the shelf for people to buy. visit hollywood rag for some pictures of one of the doctored cd liners. I’ve put my favorite one below – where he put a dog’s face on paris.